Who are the winners of Seoul Drama Awards 2015? On 10th Sept, the 10th Seoul Drama Awards Ceremony was held at Sangam Culture Plaza in Seoul to honour distinguished examples of dramas from 48 countries such as USA, China, Germany and Singapore too! . There were a total of 212 dramas submitted to vie for the Grand Prize. While it has been a spectacular event with many top celebrities gracing the event, it is more important to acknowledge the great artistic achievements. Want to know more about the nominated programmes? The ceremony has attracted international attention with guest appearances by Taiwanese stars Chen BoLin and Ariel Lin, Japanese actor Joe Odagiri who starred in Shinya Shokudo series, Engin Akyürek from Turkey, and not forgetting suave Chinese actors Zhang Han and Wallace Chung. Not forgetting to mention the star-studded attendance of Korean celebrities like Lee Young Ae, Lee Joon Ki, Hwang Jung Eum, Lee Min Ho, Soo Hyun (Claudia Kim), Yeo Jin Goo and Kang Ye Won. The list went on and also included guest performers Sister, B1A4 and Jo SuMi and hosts Lee Dong Wook and Kim Jung Eum. Naked Among Wolves is a 2015 TV adaptation of the Bruno Apitz’s novel (1958). The novel tells a story revolving around a Polish boy, Stefan Cyliak, whom prisoners of the Buchenwald concentration camp risked their lives to hide from the officers. Stefan Cyliak was later named to be Stefan Jerzy Zweig,who survived until the camp’s liberation. Misaeng, staring Im Si Wan, Kang So Ra and Kang Ha Neul, presented the leads as ordinary office workers getting by day-to-day struggles with superiors, among colleagues and toughest of all, to survive and hold onto their jobs. Misaeng was adapted from a webtoon series by Yoon Tae Ho. In recent months, it seems to be an emerging trend for Korean dramas to be adapted from popular webtoons. Few of such dramas also include The Girl Who Sees Smells (2015) starring Park Yoo Chun and Shin Se Kyung and artist Lee Choong Ho’s Hyde, Jekyll, Me (2015) starring Hyun Bin and Han Ji Min. Odagiri Joe was known from his performance in the comedy drama Shinya Shokudo, based on Japanese manga series by Yarō Abe. Shinya Shokudo Season 1 was released in 2009 and its rising and continuing popularity led to the subsequent release of Season 2 (2011) and Season 3 (2014). The second recipient, Wallace Chung, has recently risen in fame in Korea with his latest drama My Sunshine, alongside Tiffany Tang. His character, He YiChen, has definitely won the hearts of many females as the cool, capable and captivating lawyer, outstanding in his field, yet only showing his softer side and complete devotion to Zhao MoSheng (played by Tiffany Tang). 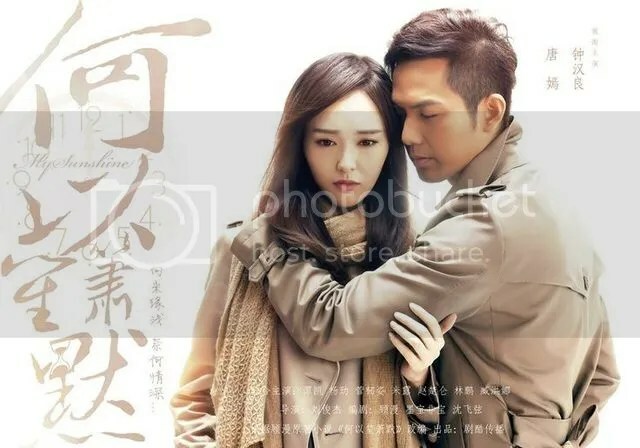 In the drama, Wallace Chung has also swept many female viewers off their feets with his famous phrase, translated to be “If she has appeared into my life, others would just be a compromise. And I do not wish to compromise”. In fact, many fans cannot wait for the upcoming collaboration between Wallace Chung and Lee Min Ho in the highly anticipated movie Bounty Hunter, set to release in 2016. It is no surprise that both dashing actors were arranged to sit together during the award ceremony. Famous Taiwanese on-screen couple Chen BoLin and Ariel Lin once again appeared together for their drama, known as The Conditions of Love (2011) in Korea. Sounds familiar? Indeed. 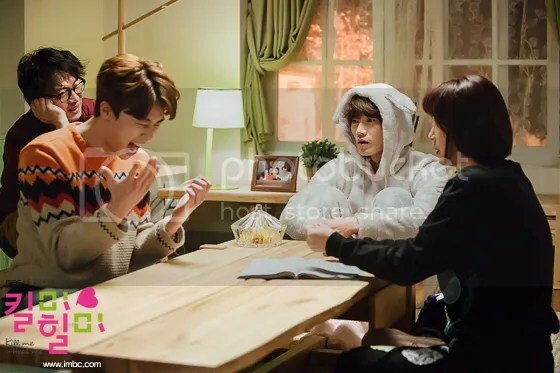 This drama has been a great hit in many countries like Taiwan, Singapore, China and Korea and swept away 7 awards out of 8 nominations that year in Taiwan’s Golden Bell Awards, including Best Drama, Best Director, Best Leading Actor and Best Leading Actress awards. This year, SBS has adapted it to The Time We Were Not In Love, starring Ha Ji Won and Lee Jin Wook who reprised the original roles by Ariel Lin and Chen BoLin respectively. Upon receiving this award, Lee MinHo expressed his deepest gratitude towards his seniors who have paved road towards international recognition before him. In his speech, he also expressed his eagerness to return to small screen soon. Lee Young Ae also expressed her gratitude towards viewers and fans who have remembered since Jewel in the Palace (2003) directed by Lee Byung Hoon and that she would be returning to the industry to produce better works soon. Personally, I think this has been the best drama in 2015, amidst numerous Korean dramas released thus far. Both leads, Hwang Jung Eum and Ji Sung, were also nominated in their respective categories for the ceremony. Regardless of the loss, Ji Sung has demonstrated superb acting skills which has gained great praises for his performance, taking on the challenge of shaping 7 different personalities in Kill Me Heal Me. Why 7? This drama depicts the pursuit of Cha Do Hyun (played by JiSung) to seek medical cure for his mental disorder Dissociative Identity Disorder (DID). As he uncontrollably weaves in and out of the 7 personalities created within him, he soon realised that the cause for his DID condition was tied to Oh Ri Jin (played by Hwang Jung Eum). Also starring Park Seo Joon as Ri Jin’s brother, the drama is rich in story and character development as the scriptwriter hid clues for viewers to trail and unravel the cause of Do Hyun’s disorder during his childhood. The cast presented great chemistry, especially between the leads as it was their second collaboration after Secret Love (2013). Those who thinks that it would just~ be the typical rich-boy-poor-girl lovestory would be proven wrong by this masterpiece, including a plot twist and astonishing truth behind. This drama is definitely more than just a romance, more than just a comedy.